It was a light closing month in January with only 12 homes settling. As depicted in the graphic above the average sales price for homes in Princeton was $1.092 million and the homes that closed took an average of 100 days to settle. (click for a complete list of addresses and prices of the homes that sold in January). The Princeton sellers whose home closed in January retained 92% of their original asking price. This is a couple of percentage points below the 2017 average. The most popular model of home sold in January was colonials with 10 of the 12 being that model. The biggest story in the Princeton real estate market right now is inventory…or lack thereof. The market is in a critical under supply mode. Market conditions favor sellers, especially sellers of homes in the more affordable price brackets. Filed Under: Littlebrook Homes for Sale, Princeton Listings, Princeton Market News, Princeton Sold Homes Report, Realtor Marketing News, Sold Homes by Weichert Princeton Office, Thinking of Buying...?, Thinking of Selling...? Welcome to 3 Wilkinson Way, Princeton. You need to see this fabulous Danby model in highly sought after Washington Oaks as soon as possible! Featuring gleaming hardwood flooring, updated and upgraded kitchen with 42″ cherry cabinets, granite counters and stainless steel appliances, and updated and upgraded bathrooms, there really is nothing left to do but move in. The removal of the fireplace between the living and dining rooms makes for a wide open and spacious feel. Sunny location makes the home feel cozy and warm. The basement has been finished and the addition of a full bath is a major plus. There is still plenty of storage, which is organized with built in shelves. Premium location with no building behind you – backs to open space and tennis courts. Call 609-921-1900 to arrange a private showing. Want to be the Princeton, NJ Real Estate Market Expert? Take a look at this exclusive report detailing home prices in Princeton since 2012. You can compare condo v single family, list to sale price ratio and look at the pricing trends. Enjoy. Filed Under: Littlebrook Homes for Sale, Princeton Home for Sale, Princeton Listings, Princeton Luxury Homes, Princeton Market News, Realtor Marketing News, Thinking of Buying...?, Thinking of Selling...? The Princeton, NJ Real Estate market continued its red hot pace in June. It took only 39 days for the average Princeton home to go under contract and the average sales price well exceeded $1 million again. Click here for a complete list of all the homes that settled in Princeton including prices and specs. The big story in the markets is inventory, or the lack of it. YTD in Princeton 271 homes have been put on the market vs 309 YTD in 2016, over a 10% decrease. Considering the pace of sales is as high as last year with less inventory we are seeing a continued upward pressure on home prices. Princeton saw $54.539 million in homes settle in June with 47 houses close. June was the largest closing month of the year so far in both units and dollar volume. The average sales price for June was $1.160 million. Sellers retained 98.4% of their original asking price. An incredible 20 of the homes that closed in June in Princeton were purchased with cash. That is 42% of the buyers in June paid cash for their homes. The average tax bill for Princeton homes that closed in June was $20,020. The average number of of bedrooms was 4 and bathrooms 3. Colonials were again the most popular home bought with 25 of the overall market or 53% of the closings. Filed Under: Princeton Home for Sale, Princeton Listings, Princeton Market News, Realtor Marketing News, Thinking of Buying...?, Thinking of Selling...? May was another blistering month for the Princeton Real Estate Market. The big story in Princeton is the lack of supply of homes for sale. YTD through May 2017 230 homes were put on the the market in Princeton vs 275 homes through May of last year, a 16% decrease. This lack of inventory continues to drive the overall market. 23 homes sold for over $25+ million in total sales volume. The average sold price was $1.050 million. An incredible 11 of the 23 homes that closed were paid in cash. Houses that closed in May sold in a scorching 29 days. Overall Princeton sellers retained 97.1% of their asking price. In homes that were priced between $350-$600 sellers retained 98.2% of their original asking price. In homes that were priced $600-$999 sellers retained 99% of their asking price. In homes that were priced $1-2 million sellers retained 97% of their asking price. In homes that were priced $2 million or more, sellers retained 93% of their asking price. The average taxes for the Princeton sold homes in May was $18,278. The average home was 56 years of age. 55% of the closed homes in Princeton in May were colonials, making it the most popular style of home sold YTD. To preview some of the homes that have just hit the market in Princeton take a look below. Filed Under: Princeton Home for Sale, Princeton Listings, Princeton Sold Homes Report, Thinking of Buying...?, Thinking of Selling...? Where is the hottest spot in the Princeton, NJ Real Estate market? If you break down the homes that sold in Princeton by price you can see the that the under $1 million market is the hottest part of the market. In Princeton, homes under $1 million sold in an incredible 17.5 days and retained over 98% of their asking price. For Princeton sellers $1-2 million homes took 121 days to sell and they retained 97% of their asking price. For Princeton sellers $2 million+ the homes took an average of 241 days to sell and the sellers retained only 87% of their asking price. Want to see Princeton homes for sale under $1 million? Take a look below. Filed Under: Princeton Home for Sale, Princeton Listings, Princeton Market News, Princeton Sold Homes Report, Realtor Marketing News, Thinking of Buying...?, Thinking of Selling...? The Princeton, NJ Real Estate market continues to be brisk, marked by a lack of inventory and high demand. Click here to be taken to the list of homes, addresses and individual prices or check out the latest Princeton market stats below. The average time it took to sell a home was 87 days. The average sold price was $1.203 million, which is up over $200k from March closings. Overall Sellers retained 94.9% of their asking price. For Princeton homes under $1 million sellers sold in an incredible 17.5 days and retained over 98% of their asking price. Colonials were the most popular style, accounting for 10 of the 17 closed homes. The average annual tax bill for the April closed homes in Princeton was $21,000. The highest annual taxes were over $65,000 and the lowest $5,196. 5 of the 17 sold homes were bought with cash. The 12 homes that sold via mortgages all were conventional financing. The Princeton swim clubs will be busy this summer as only one of the 12 houses that sold in April have in ground pools. Take a look below for additional Princeton homes for sale. 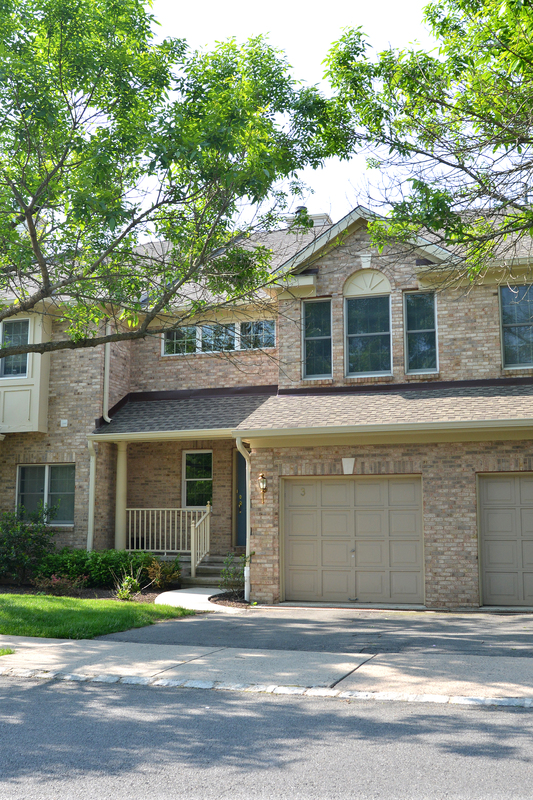 Charming duplex available for rent in a great location in Princeton’s Riverside neighborhood. Close to stores blue ribbon school, Princeton University and more! Move-in ready. Newly renovated kitchen and full bath. Gorgeous wood floors throughout. Driveway parks 2 and private backyard to enjoy BBQs and relaxation. This Princeton charmer will not last so don’t wait…long-term tenant wanted!